The last chapter emphasized the importance of having students actively process information during well-structured critical-input experiences. 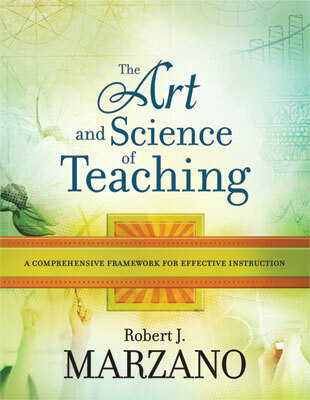 If a teacher uses the techniques presented in that chapter, the chances are good that students will walk away from those experiences with an understanding of the content presented. However, this initial understanding, albeit a good one, does not suffice for learning that is aimed at long-term retention and use of knowledge. Rather, students must have opportunities to practice new skills and deepen their understanding of new information. Without this type of extended processing, knowledge that students initially understand might fade and be lost over time. Remember, in our classroom example Mr. Hutchins presents a video on Hiroshima and Nagasaki. The next day he briefly summarizes the content from the video. He then introduces students to a metaphor activity regarding Hiroshima and Nagasaki. Previously he has discussed metaphors with students, so they understand that a metaphor links two things that do not seem related on the surface but are related at a more abstract level. In a whole-class discussion, Mr. Hutchins and his students identify some general characteristics of the events at Hiroshima and Nagasaki that students can use in their metaphors. He explains that they will begin the activity in class and finish it as homework. The next day Mr. Hutchins begins by reviewing the homework with students. He organizes students into groups of five. Each student presents his or her metaphor assignment to the other members of the group. When all students have reported on the homework in their small groups, Mr. Hutchins leads a whole-class discussion on the insights students gained from the activity. Throughout the unit, Mr. Hutchins engages students in a variety of activities that help them examine the content in new ways. Frequently, he asks students to return to their academic notebooks and make changes and additions. In some cases, students add information. In other cases students correct initial misconceptions in their knowledge. Actively processing information is the beginning point of learning. This is addressed in the second design question, discussed in Chapter 2. As Pressley (1998) notes, “Explicit teaching of skills is the beginning of a constructivist process for your learners” (p. 186). Although Pressley is referring to a particular type of knowledge—skills—his comments apply to all knowledge. Students must have a sound foundation on which to build new awareness. New awareness is forged through repeated exposure to knowledge. Exposures involving practice and knowledge-deepening activities are the focus of this design question. The research and theory underlying this design question come from a variety of areas that might appear disparate on the surface. Four such areas are discussed here: schema development, development of procedural knowledge, development of declarative knowledge, and homework. A schema is a concept typically associated with cognitive psychology. Arguably it has some roots in (or at least is similar to) the work of Piaget. Piaget (1971) makes a distinction between two types of knowledge development: assimilation and accommodation. He describes the process of assimilation as that of gradually integrating new knowledge into a learner's existing knowledge base. In general, assimilation involves making linkages between old knowledge and new knowledge. Multiple exposures over time facilitate the assimilation process. Accommodation is a more radical change in knowledge. It involves changing existing knowledge structures as opposed to simply adding information to them. For accommodation, interaction with content must challenge existing perceptions. Schema theory provides another perspective on the nature of learning. Roughly speaking, schemata are the packets in which knowledge is organized and stored (Anderson, 1995; Bransford & Johnson, 1973; Winograd, 1975). Initially, schemata were thought of as idiosyncratic mental representations of phenomena by individuals. Currently, there is some agreement that schemata are shared by and created by groups as they interact around a common topic (McVee, Dunsmore, & Gavelek, 2005). Three types of schema development are typically identified: (1) accretion, (2) tuning, and (3) restructuring. Accretion and tuning refer to the gradual accumulation or addition of knowledge over time and the expression of that knowledge in more parsimonious packages. In a sense, accretion and tuning are akin to Piaget's notion of assimilation. Restructuring involves reorganizing knowledge so that it might produce new insights. In a sense, restructuring is akin to Piaget's notion of accommodation. Frequently, a number of procedures are embedded within a robust, complex macroprocedure (Marzano & Kendall, 2007). For example, the macroprocedure of writing has embedded procedures for planning, drafting, editing for overall logic, editing for mechanics, and so on. Procedural knowledge develops in different ways from declarative knowledge. Over time procedural knowledge is shaped by the learner. This reshaping involves adding steps, changing steps, and deleting steps. When fully developed, procedural knowledge can be performed at a level of automaticity or controlled processing (Fitts & Posner, 1967; LaBerge & Samuels, 1974). Automaticity means that the learner can execute the process without consciously thinking about the parts of the process. An example would be the skill of sounding out a word not recognized by sight. Once this process is learned, the student can execute it without much conscious thought. Other processes such as editing a composition require a little more thought. That is, even when a student knows how to edit, he must typically think about the process to execute the steps effectively. This is called controlled processing as opposed to automatic processing. Frequently, the term fluency is used to describe the development of a skill or process to the level of automaticity or controlled processing. Rosenshine's comments about the importance of practice are supported by the research reported in Figure 3.1.
aMultiple effect sizes are listed because of the manner in which effect sizes are reported. Readers should consult that study for more details. bThis study used student engagement as the dependent measure. Unfortunately, there has been a popular trend toward de-emphasizing the need for practice (see National Council of Teachers of Mathematics, 2000, p. 21). Arguments against practice typically focus on its perceived lockstep, didactic nature, providing little opportunity for student exploration. Some cognitive psychologists have expressed severe concerns about the trend against practice. As Anderson, Reder, and Simon (1995) note, “In denying the critical role of practice one is denying children the very thing they need to achieve real competence” (p. 7). Perhaps the concern about practice stems from improper use of practice as simply drill, during which students mechanically execute steps that have been memorized. To the contrary, effective practice involves students examining and shaping the initial steps. Recall Rosenshine's comments that during guided practice students engage in high-level cognitive processes such as organizing, reviewing, rehearsing, summarizing, comparing, and contrasting. Note Rosenshine's use of the well-accepted term guided practice, which communicates the notion that the teacher does not simply turn students loose on practice activities but designs practice sessions that provide well-structured guidance. In short, effective practice is not unthinking execution of a set of steps or algorithms. Rather, it involves the gradual shaping of a procedure facilitated by teacher guidance (Anderson, 1982, 1995; Fitts & Posner, 1967). Although the term practice is used ubiquitously, it is more appropriate with procedural knowledge. With declarative knowledge, reviewing and revision are more accurate terms for the processes by which it is developed. Building on the research of Rovee-Collier (1995), Nuthall (1999) found that students require about four exposures to new informational knowledge to adequately integrate it into their existing knowledge base. He notes that these exposures should not be spaced too far apart: “We found that it took a minimum of three to four exposures with no more than a two-day gap or ‘time window’ (Rovee-Collier, 1995) between each one for these experiences to become integrated as a new knowledge structure” (1999, p. 305). This observation makes intuitive sense and is supported in part by some of the brain research as reported by Jensen (2005). Specifically, Jensen cites research indicating that students need time to think about new insights and awarenesses (Collie, Maruff, Darby, & McStephen, 2003; Stickgold, James, & Hobson, 2000). Not only is time needed between exposures to declarative content, but the activities engaged in during these exposures should possess certain characteristics. Here we consider three activities that qualify as useful ways to deepen students' understanding of declarative knowledge. Much of the research on revising is focused on writing tasks (see Hillocks, 1986; Mayer, 2003). Revising a composition is obviously a critical step in the generation of an effective essay. Unfortunately, without structure and guidance students' revisions can be highly superficial (Fitzgerald, 1987). Revision is also important to the development of declarative knowledge. The learner begins with a fuzzy, partial knowledge. Over time with extended exposure, the learner sharpens and adds to his or her knowledge base (Hofstetter, Sticht, & Hofstetter, 1999; Schwanenflugel, Stahl, & McFalls, 1997; Stahl, 1999). To this end, revision activities should require students to add new information to the topic being revised as well as correct errors and clarify distinctions. Brown and Burton (1978) liken knowledge development to debugging a computer routine. They note that students' understanding of mathematics content is particularly susceptible to bugs, which are best corrected by continual examination of the conceptual accuracy of the content (Clement, Lockhead, & Mink, 1979; Tennyson & Cocchiarella, 1986). A number of researchers and theorists have demonstrated the tendency to use inefficient thinking (Abelson, 1995; Johnson-Laird, 1985; Perkins, Allen, & Hafner, 1983). On the lighter side of this issue, Gilovich (1991) identifies examples of erroneous thinking from those otherwise known for their rigorous academic logic. For example, Francis Bacon is reported to have believed that warts could be cured by rubbing them with pork. Aristotle thought that babies were conceived in a strong north wind. The academic domain of philosophy identifies specific types of errors people make in their thinking (Johnson-Laird, 1983; Johnson-Laird & Byrne, 1991; Toulmin, Rieke, & Janik, 1981). Action Step 2 in this chapter describes some of these types in depth. Briefly though, types of errors or informal fallacies include faulty logic (such as assuming that something that has occurred once will occur on a systematic basis), attack (trying to disprove a point by discrediting the person making the point), weak references (using sources that have no credibility), and misinformation (confusing the facts). Many who advocate teaching and reinforcing critical thinking skills view error analysis as a primary intellectual skill (Costa, 2001; Halpern, 1996a, 1996b). Identifying similarities and differences is a common instructional activity that appears to pay dividends in terms of knowledge development. Apparently, this process is basic to human thought (see Gentner & Markman, 1994; Markman & Gentner, 1993a, 1993b; Medin, Goldstone, & Markman, 1995). Figure 3.2 presents findings from some of the studies on similarities and differences. Alexander, White, Haensly, & Crimmins-Jeans, n.d.
aEffect size computed from data reported in Ross, 1988. The final area that relates to practicing and deepening knowledge is homework. Homework is typically defined as any teacher-assigned task intended for students to perform outside school hours (Cooper, 1989a). Cooper, Robinson, and Patall (2006) provide a brief but panoramic account of the history of homework. They explain that attitudes toward homework have been cyclical (Gill & Schlossman, 2000). Prior to the 20th century and into the first few decades of that century, the common belief was that homework helped create a disciplined mind. By 1940, a reaction against homework was established because of a growing concern that it intruded on other home activities. This trend was reversed in the late 1950s when the Soviets launched Sputnik. Americans became concerned that U.S. education lacked rigor and viewed homework as a partial solution to the problem. By 1970 the trend had reversed again, with some learning theorists claiming that homework can be detrimental to students' mental health. Since then, impassioned arguments for and against homework have proliferated (see Corno, 1996; Kralovec & Buell, 2000). Indeed, some arguments against homework have gone so far as to assert that educational researchers are trying to impose a useless practice on U.S. students and parents (see Kohn, 2006). Many of the arguments against homework and the errors in those arguments have been addressed by Marzano and Pickering (2007a, 2007b, 2007c). One of the most common reasons cited for homework is that it extends learning opportunities beyond the school day. This logic might have merit in U.S. K–12 education because “schooling occupies only about 13 percent of the waking hours of the first 18 years of life,” which is less than the amount of time spent watching television (Fraser, Walberg, Welch, & Hattie, 1987, p. 234). A number of synthesis studies have been conducted on homework. Some of the more well-known studies are reported in Figure 3.3. Note: The Cooper (1989a) meta-analysis included over 100 empirical research reports (p. 41), and the Cooper, Robinson, & Patall (2006) meta-analysis included about 50 empirical research reports. Figure 3.3 reports only those results from experimental/control (i.e., homework versus no homework) contrasts. aReported in Fraser et al., 1987. With this generalization as a backdrop, a number of issues regarding homework should be addressed. In the Cooper, Robinson, and Patall (2006) meta-analysis, the issue of grade level is still not resolved. Depending on how the data are analyzed, different interpretations can be justified. Perhaps the most significant analysis is one involving studies that compared homework with no homework. In effect, this is the set of studies Cooper, Robinson, and Patall used to compute their overall effect size for homework reported in Figure 3.3. Six studies contrasted the achievement of students in classes where homework was assigned versus the achievement of students in classes where homework was not assigned. These results are summarized in Figure 3.4. Note: Computed from data reported by Cooper, Robinson, & Patall, 2006, p. 18. The dependent measure in these studies was unit tests. The plus sign indicates that no effect size was computed but that the homework group outperformed the no-homework group. Note that in Figure 3.4 effect sizes were not computed for two studies, one with 4th graders and one with 3rd graders. The plus symbol indicates that the homework group outperformed the no-homework group on unit tests. From this pattern one might conclude that homework has a positive effect across all grade levels when student achievement is measured by unit tests covering the content actually taught. Good and Brophy caution that the amount of homework per night should not become inordinate. This, of course, requires coordination among teachers. In the final analysis, discussions about optimum amounts of homework are still speculative. As Cooper, Robinson, and Patall (2006) note, “There is still much guess work in these estimates, and optimum amounts of homework likely will be dependent on many factors. . . . Even for [the] oldest students, too much homework may diminish its effectiveness, or even become counter productive” (pp. 52–53). It is also important to remember that the amount of time spent at homework is fairly meaningless in itself. As the previous discussion illustrates, it is not time per se that has a positive effect on student achievement. Rather, it is the proportion of homework completed that appears to produce the strongest achievement gains. By inference, large amounts of poorly structured homework will not be beneficial and may in fact be detrimental. Small amounts of well-structured homework, on the other hand, may produce the desired effect. Another point of much discussion regarding homework is the extent to which parents should be involved. Some studies have reported minimal and even negative effects for parental involvement (see Balli, 1998; Balli, Demo, & Wedman, 1998; Balli, Wedman, & Demo, 1997; Perkins & Milgram, 1996). Additionally many parents report that they help their children with homework even though they feel unprepared and the subsequent interactions with their children frequently cause stress (Corno, 1996; Hoover-Dempsey, Bassler, & Burow, 1995). Parents are provided with clear guidelines as to their role. Parents are not expected to act as experts regarding content. Parents ask clarifying questions and questions that help students summarize what they have learned. Homework should be structured to ensure high completion rates. — The younger the student, the less homework teachers should assign. — The amount of homework that is assigned should not present a burden to parents or students. Homework should have a well-articulated purpose. Epstein (Epstein, 2001; Epstein & Van Voorhis, 2001) identifies a number of reasons why homework is commonly assigned and discusses the legitimacy of each. She emphasizes that homework assigned for punishment or to demonstrate to the public that a school is a serious place of study is not very defensible. Commenting on Epstein's work, Good and Brophy (2003) note that they believe that the most defensible purposes for homework are practice, preparation, and parent–child relations (p. 395). Homework should relate directly to identified learning goals. As discussed in Chapter 1, every unit of instruction should have a small set of clear learning goals. Each homework assignment should be directly and explicitly tied to these learning goals. Homework should be designed so that students can perform it independently. By definition homework is meant to be done by students without the help of a teacher overseeing the process. Homework should involve parents and guardians in appropriate ways. Operationally, this means that parents and guardians should be provided with guidelines regarding how to help with homework. Roderique and colleagues (1994) report that only 35 percent of school districts have written homework policies that provide even general guidelines. There are four basic types of tasks that focus on identifying similarities and differences: comparing, classifying, creating metaphors, and creating analogies. Comparing is the process of identifying similarities and differences among or between things and ideas. Marzano and Pickering (2005) provide a variety of options for designing comparison tasks. With young students or when introducing students to comparison tasks, they recommend the use of sentence stems such as those depicted in Figure 3.5. Source: Reprinted from Marzano & Pickering, 2005, p. 40. To illustrate how sentence stems might be used, assume that a teacher has provided a series of critical-input experiences on the topics of monarchies and dictatorships. As a result of using the sentence stem, a student might provide the response depicted in Figure 3.6. Are governments with major power given to one person. Have examples from history in which the powerful person was a tyrant. In a monarchy, the ruler is often in power because of heritage, but in a dictatorship, the ruler often comes to power through force or coercion. In monarchies today, the rulers are often perceived to be loved by the people, but in dictatorships, the rulers are often feared and hated by the people. A monarchy can coexist with a representative government, but a dictatorship often is a police state. Source: Reprinted from Marzano & Pickering, 2005, p. 41. The Venn diagram is another popular format for comparison tasks. A Venn diagram used to compare monarchy and dictatorship is presented in Figure 3.7. In his book Visual Tools for Constructing Knowledge, Hyerle (1996) recommends the double-bubble diagram for comparison tasks. This method is depicted in Figure 3.8. A final variation on the theme is the comparison matrix, which is depicted in Figure 3.9. The advantage of the comparison matrix is that it can be easily expanded to include added elements to compare and more characteristics on which elements are compared. King or queen gains throne out of heritage. Sometimes a monarch takes over country by force. Often a leader for life. The dictator usually takes power through coercion or force. Often is leader for life. Leaders are elected by the people, sometimes influenced by others. The leader doesn't have total power. May be voted out of office. Actually, monarchy and dictatorship are more alike and democracy is different. Monarchs and dictatorships are similar in that power over people is taken by, or given to, an individual, but in a democracy, the people decide who will have the power. Even though monarchy and dictatorship are somewhat similar, they are also different in that the dictator takes over by force, but the monarch is usually designated as a result of heritage. Throughout history are examples of monarchs loved by the people, but some were hated by certain persecuted groups. Often in history the dictator is hated or feared by most people. People are often split on their reactions but accept the elected leader, knowing they can try to elect a new one before too long. People are generally expected to obey the rule of the monarch. Monarch holds power and can change laws. Can become like dictators. People must obey the dictator. Often there are serious consequences to not being loyal. Generally the people are seen to have power through their votes. If they don't like what's happening, they can elect new leaders. Source: Reprinted from Marzano & Pickering, 2005, p. 45. Classifying is the process of grouping things that are alike into categories based on their characteristics. In the simplest form, classifying tasks present students with predetermined categories and require them to sort content into those categories. For example, assume that an art teacher has provided critical-input experiences regarding the following concepts and processes: overlapping, adding as it relates to sculpture, shading, clay, oil paint, subtracting in sculpture, charcoal, varying size, use of pencil, varying color, perspective, glaze as a medium, and stippling. The teacher asks students to sort these elements into three categories—art materials, art techniques, and art processes—using the chart in Figure 3.10. In this task, the categories are provided for students. To correctly complete the task, students must know the characteristics associated with each category and the characteristics associated with each element. At a more advanced level, students are provided with a list of elements and asked to organize them into two or more categories of their own design. This task is more challenging because students must form categories based on their knowledge of the characteristics of the elements provided. They must explain the defining features of the categories they have constructed and then defend why each element belongs in a specific category. To illustrate, a history teacher provides students with the following list of historic figures: Joseph Stalin, Napoleon Bonaparte, Nero, Paul the Apostle, Scipio Africanus, Solomon, Socrates, and Benito Mussolini. Students are asked to organize these eight people into two or more categories. They are judged on the extent to which they explain the defining characteristics of each category and defend why specific people are assigned to specific categories. Creating metaphors is the process of identifying a general or basic pattern that connects information that is not related on the literal or surface level. For example, love is a rose is a metaphoric statement. On the surface, love and rose have little in common. However, at an abstract level, they are related. Both are alluring and enticing. Both can be prickly if grasped too tightly. One way to highlight the importance of the general characteristics that unite the two seemingly unrelated elements of a metaphor is to use a chart such as the one in Figure 3.11, which focuses on Frederick Douglass and Helen Keller. On the surface, Frederick Douglass and Helen Keller have little in common. Frederick Douglass was a slave; Helen Keller was born to rich parents and became blind and deaf. However, as the middle column of Figure 3.11 illustrates, at an abstract level they share common characteristics. Was a slave as a young boy. Got sick as a baby, which left her deaf and blind. Learned to read and write anyway. Achieved goals even when difficult. Learned how to read Braille, write; also went to college. Wrote books and gave speeches against slavery. Worked to help other people who suffered like him/her. Through her speech tours and writing, she inspired others to overcome their disabilities. Source: Reprinted from Marzano & Pickering, 2005, p. 52. Bone is to skeleton as word is to _______. Inch is to foot as millimeter is to _______. Martin Luther King Jr. is to civil rights as _______ is to women's rights. Harry Truman is to World War II as _________ is to _________. Rhythm is to music as __________ is to ____________. Bury My Heart at Wounded Knee is to Native Americans as _________ is to ________. Hyerle (1996) recommends the use of the graphic representation in Figure 3.12 as a way of depicting the relationships in an analogy. Here the students must actually state the relationship that ties the two sets of items together. In Figure 3.12, oxygen and people and carbon dioxide and plants have the same relationship, which is one of need. Analyzing errors is a powerful way to deepen students' understanding of declarative knowledge. Figure 3.13 lists four categories of common errors in thinking. Contradiction—presenting conflicting information. If a politician runs on a platform supporting reducing taxes, then states that she would vote for a bill designed to increase taxes, that politician has committed the error of contradiction. Accident—failing to recognize that an argument is based on an exception to a rule. For example, if a student concludes that his friend always goes to an amusement park on the first Saturday each summer because he saw his friend go once to celebrate a cousin's graduation, that student has committed the error of accident. False cause—confusing a temporal (time) order of events with causality or oversimplifying the reasons behind some event or occurrence. For example, if a person concludes that his favorite team won a game because the game was sold out, he is guilty of ascribing a false cause. The sell-out crowd may have contributed to his team winning the game, but there were also many other contributing factors. Begging the question—making a claim and then arguing for the claim by using statements that are simply the equivalent of the original claim. For example, if a person says that a personal computer he built for himself is better than any other computer being sold and then backs up this statement by simply saying that it is superior to other computers, he is begging the question. Evading the issue—changing the topic to avoid addressing the issue. For example, a person is evading the issue if she begins talking about high salaries for professional athletes when asked about her opinions on insurance fraud. Arguing from ignorance—arguing that a claim is justified simply because its opposite has not been proven true. For example, if a person argues that there is no life after death because there is no proof of such existence, he is arguing from ignorance. Composition/division—asserting something about a whole that is really only true of its parts is composition; on the flip side, division is asserting about all of the parts something that is generally, but not always, true of the whole. For example, if a person asserts that all police officers use excessive force because one police officer is found to have used excessive force, she is committing the error of composition. If a person states that a particular reporter supports liberal causes simply because reporters are generally known for being liberal, he is committing the error of division. Poisoning the well—being so completely committed to a position that you explain away absolutely everything that is offered in opposition to your position. This type of attack represents a person's unwillingness to consider anything that may contradict his or her opinion. For example, if a researcher argues against the findings of 10 studies proposing a contrary position by claiming that each study was based on flawed methodology without offering proof for these claims, she is poisoning the well. Arguing against the person—rejecting a claim using derogatory facts (real or alleged) about the person who is making the claim. If a person argues against another person's position on morality by alleging he accepted a bribe, she is arguing against the person. Appealing to force—using threats to establish the validity of a claim. If a person threatens to report a lie you told to a person because you disagree with her on a social issue, she is appealing to force. Sources that reflect biases—consistently accepting information that supports what we already believe to be true or consistently rejecting information that goes against what we believe to be true. For example, a person is guilty of bias if he rejects evidence supporting claims of faith simply because he does not believe in faith. Sources that lack credibility—using a source that is not reputable for a given topic. Determining credibility can be subjective, but there are some characteristics that most people agree damage credibility, such as when a source is known to be biased or has little knowledge of the topic. A person is guilty of using a source that lacks credibility when he supports his claims by citing research from an individual known for questionable methodology. Appealing to authority—invoking authority as the last word on an issue. If a person claims that a local government policy is valid and supports this claim by saying the city council said so, she is appealing to authority. Appealing to the people—attempting to justify a claim based on its popularity. For example, if a boy tells his parents that he should have a television in his room because all his friends have one, he is appealing to the people. Appealing to emotion—using a “sob story” as proof for a claim. For example, if someone uses the story of a tragic illness as a means to convince people to agree with her opinion on health care reform, she is appealing to emotion. Confusing the facts—using information that seems to be factual but that has been changed in such a way that it is no longer accurate. For example, a person is confusing the facts if he backs up his claim by telling a recent news story with key details missing. Misapplying a concept or generalization—misunderstanding or wrongly applying a concept or generalization to support a claim. For example, if someone argues that a person should be arrested after losing a civil case, the person has misunderstood the concept of civil law. These types of errors must be directly taught to students and exemplified in concrete terms. With this knowledge in hand, students have a powerful set of tools with which to analyze the validity of information. This type of analysis is particularly useful when information is designed to persuade. For example, a science teacher has students read an article on global warming. After reading the article, the teacher organizes students into groups of five. Each group examines the article for its overall logic. After adequate time has been spent analyzing the article, group members discuss the case presented for global warming and whether they believe it to be a strong argument. As described in the next chapter, knowledge of the types of errors listed in Figure 3.13 also helps students construct valid support for their own conclusions. The activities discussed in Action Steps 1 and 2 are more applicable to declarative knowledge. The activities addressed in this action step are more applicable to procedural knowledge—skills, strategies, and processes. For some types of procedural knowledge taught in school the end goal is that students can execute them with very little or no conscious thought. This is referred to as fluency. Without fluency, procedural knowledge is not very useful. To illustrate, imagine a student's discomfort if she had to remind herself how to decode an unrecognized word every time she performed the task. Effective practice transforms procedural knowledge that must be laboriously executed to procedural knowledge that is executed fluently. There are at least three characteristics of effective practice. Look at the first few letters and the last few letters and guess what the word is. If that doesn't work, then look at the letters in the middle and look for familiar letter patterns. If that doesn't work, skip the word and move on unless you can't understand the passage without understanding the word. In that case, look up the word in the glossary or dictionary or ask someone about the word. These elements have been exemplified and discussed during the critical-input experience. A practice session is scheduled soon after that initial experience, preferably within a day or two. The teacher introduces the practice session with a brief review of the procedure. The teacher again models the procedure for students to give them a sense of how it works. Students are presented with a few sentences that have words specifically selected because they can be decoded relatively easily by examining the first and last letters. In effect, the practice exercise requires students to use the first step only in the overall procedure. Students are asked to read the sentences on their own, paying attention to the target words that require the strategy. After each student has had time to read the passage and try the strategy, volunteers are asked to describe how they used the strategy with the target words. In short, the practice session is structured so that a few well-crafted examples are addressed and discussed. Additionally, students experience a high rate of success during the practice session. Contour lines are curves that connect contiguous points of the same altitude. Contour maps show general topography. To determine differences in elevation between two points, the contour interval—the distance in altitude between two adjacent contour lines—must be known, and this information is typically provided at the bottom of the page. Close contours indicate a steep slope and distant contours indicate a shallow slope. Two or more contour lines merging indicate a cliff. At the end of each practice session, the teacher asks students to share their new awareness regarding the strategy. This helps students shape the procedure to meet their individual needs. As indicated in the Research and Theory section of this chapter, during the shaping phase of learning a new procedure, students change, add, and delete elements. Procedures are not learned in a rote manner. The final phase of learning a procedure is to develop it to the level of fluency. It is important to keep in mind that not all procedures presented to students are intended to be learned to this level. For example, a mathematics teacher presents students with a procedure for using a protractor. However, the teacher is aware that using a protractor is not a skill all students will require for success later on in school or in life. In such cases, it is appropriate to cease the formal instruction and the practice once students have a general sense of its execution. However, if a procedure is necessary for students' future success in school or in life, enough practice must be provided for students to develop the procedure to a level of fluency. Practice for the purpose of developing fluency should include a fairly wide array of exercises so as to expose students to different contexts in which the procedure might be executed. Additionally, the teacher should consider accuracy and speed in these practice sessions along with further shaping of the procedure. At this level of learning, students should be able to engage in the procedure independently. Thus practice activities can be as signed as homework when appropriate. To emphasize accuracy and speed, the teacher might have students keep track of their progress as depicted in Figure 3.14. Students construct a chart like the one in Figure 3.14 over a number of practice sessions, with some done in class and some done as homework. This tracking allows students to see their progress over time and helps them pinpoint whether they need to focus on accuracy, speed, or both. For example, the student in Figure 3.14 is becoming proportionally more accurate over the five practice sessions (except in the fourth session) and is taking proportionally less time (except in the fourth session). Cooperative learning techniques can be employed in a wide variety of instructional situations. The tasks mentioned in Action Step 1—comparison, classification, metaphor, and analogy activities—can be executed individually by students or in small groups. The same may be said for Action Step 2; identifying errors in information can be accomplished individually or in groups. Using cooperative groups for practice activities (Action Step 3) typically occurs after students have engaged in some form of individual practice. After individual students have worked through a practice activity, they meet in small groups to check their work for accuracy and describe their personal approaches to the exercises. For example, after students have worked through exercises on balancing equations with one variable individually, the teacher organizes them into groups of three. Each student explains how he or she approached the exercises. Through dialogue, students discover what led to their correct and incorrect answers. When considering the recommendations for effective use of homework, teachers should keep in mind the cautions and suggestions in the research and theory section. I recommend three general types of homework. A number of expeditions took place in the early 19th century that marked the early stages of the expansion into the western regions of the United States. Perhaps the best-known expedition was that undertaken by army officers Meriwether Lewis and William Clark. About the same time, another army officer, Zebulon Pike, explored the American Southwest—one of Pike's expeditions in the Southwest was known as the Arkansas River Expedition of 1806. Using a comparison matrix, compare these two expeditions on the following characteristics: who ordered the expedition, purpose of the expedition, areas explored, and outcomes of the expedition. What areas were explored in each expedition? What happened as a result of each expedition? The homework your son or daughter is being asked to do tonight is designed to help the child solve multiplication problems quickly without making a great deal of errors. You can help by timing your son or daughter as he or she works through the 10 exercises. Your child will tell you when to start and when to stop timing. You might remind your child that there is no expectation that he or she get all exercises correct. This isn't a test. Rather, it's practice to help them get better. It is very important that they engage in this practice. The homework tonight is to introduce your child to food chains before we study them tomorrow in class. The assignment is to read pages 56 to 62 in the textbook. Remind your child that the content in those pages will be covered in class tomorrow. However, also remind him or her that it is important to complete the assignment so that he or she has some basic understanding of food chains. You can help by asking your child to summarize what he or she learned as a result of reading those pages. You can also ask your child to write out at least two questions he or she has about what was read. The previous action steps should provide students with multiple exposures to content. Those exposures can help them shape and sharpen their knowledge. However, students must periodically reexamine their understanding of content. Academic notebooks, introduced earlier, are particularly useful to this end. There are some advantages to students keeping their academic notebooks in class (i.e., not taking them home); the biggest one is that students will not lose them if they are always kept in class. In a self-contained elementary classroom, an academic notebook might be a three-ring binder with tabs for the various subject areas. If a teacher has 30 students, then she will need to find storage space for only 30 binders. With secondary teachers who have 30 different students in five classes, storage can be more of an issue. However, this challenge can be easily solved if the notebooks are relatively small (e.g., 100 to 150 pages). Inexpensive composition books sold at most school supply stores will suffice. They can be stored in plastic bins or tubs at the end of class and distributed to each student at the beginning of class. In this way, a teacher will be assured that all students have their academic notebooks for class every day. With this assurance, students can make new entries in their notebooks after homework has been corrected and discussed. Students can reexamine the entries in their notebooks at any point in time—not just after a homework assignment. That is, periodically students are asked to review what they have recorded in their notebooks with an emphasis on identifying those things about which they were accurate initially and those things about which they were inaccurate initially. They also make additions to their notebooks, capturing awareness and insights they might not have recorded before. One variation on this process is to organize students into groups of two or three. Periodically, group members compare the entries in their notebooks. Members of each group identify what they agree on as a group, what they disagree on, and questions they still have about the content. Groups report out to the whole class, and the teacher addresses common agreements, disagreements, and questions. When considering the third design question—What will I do to help students practice and deepen their understanding of new knowledge?—teachers should distinguish between declarative and procedural knowledge. Practice is more appropriate for procedural knowledge. Activities such as identifying similarities and differences and error analysis are more appropriate for declarative knowledge. Use of cooperative groups, homework, and revision activities apply well to both types of knowledge.